I firmly believed there was a world outside of our own minds . . . But all around me were challenges. . . . How could we be so sure there were such things existing apart from us? 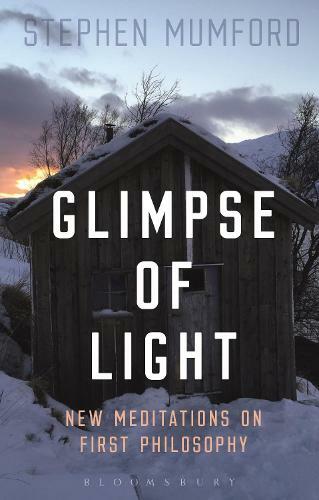 Philosopher Benedict Chilwell faces a crisis of confidence and hopes to resolve it in a self-imposed exile, far away in the north of Norway. From his cabin, he begins his meditations, pondering the mysteries of philosophy in the dark Arctic winter. Pride, a whale, love and lust, the Huldra, God and a chain of causes all interrupt Benedict's solitude. Could they prove his salvation? In six days approaching the return of the light, Benedict discovers a basis for certainty and tries his best to convince his hosts. Through doubts, questions and reasoning, Chilwell inadvertently follows in Descartes' footsteps. Will he be killed by the cold too; or will the warmth of Plato's sun save him in time?